Under the name “Brother Bones,” he released a whistling, percussive version of the jazz standard “Sweet Georgia Brown”. Released in 1949, it became a huge hit, including in Australia. You know this track, even if you don’t realise it yet, because it was later adopted by the Harlem Globe Trotters as their theme tune. 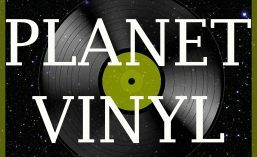 Planet Vinyl is not usually the place for hits, but David – “that whistling man with the bones,” someone calls him in the introduction – gives such a joyous and original performance that we will make an exception. A piece of music history trivia: this was the first commercially successful record to use a synthesiser. You can hear it on “Sweet Georgia Brown”, but it is clearer on the B-side, “Margie” The synthesiser was manufactured by Hammond. Called the Novachord, it was a monster: inside were 163 vacuum tubes and more than 1000 capacitors. It is used here subtly, with nice warm left hand notes, filling out the bass sound. I love both tracks, so let’s give it a spin. I can’t dance, not properly. I have never learned to waltz, rhumba, cha-cha or tango. I do not know the fox trot or the Boston two-step or the Charleston. I wish I did, but I came of age when the ability to dance was no longer an essential social skill. The rock’n’roll dances – the jitterbug, the jive, the shimmy – were also mostly forgotten. We just went for free-form jump-about-and-wave-your-arms dancing, and that was the best case. For a lot of boys of my age, dancing was for girls. Real men, the thinking went, stood against the back wall drinking beer. I am proud to say that I was one of the dancers, even if it wasn’t dancing in the traditional sense. There is a great loss in the fading of formal dancing as a universal activity. It was fun, good exercise, a core social activity. Of the men and women who fell in love and got married between about 1900 and the early 1960s, a large majority either met at a dance hall, or dancing was a big part of their courtship. These days the term “ballroom dancing” has a whiff of snobbery about it, but this is unfair – everyone danced, even if the décor at the Ritz was a cut above the Anglican church hall in Spud. In the world of dancing, for decades, Victor Silvester was a superstar. The second son of a clergyman, just old enough to lie about his age and serve in the First World War, Silvester was a consummate dancer and band leader. He was on radio and then television, and sold something in the order of 75 million records. That said, it is possible to be both strict tempo and great to just listen to, and both sides of this 78 rpm shellac disc, which I guess dates from the 1940s, achieve this. The A side is gentle, a lovely waltz; the B side is up tempo, a quick step – exciting, full of fun and zip. There is a fair bit of surface noise, even for a 78 – this just tells us that the record was played a lot. Ladies and gentlemen, take your partners ….